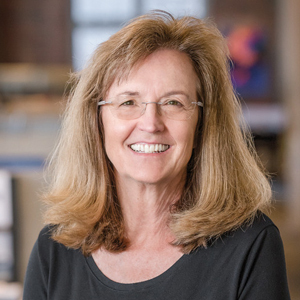 Linda is one of the founding members of Bennett Wagner Grody Architects — a Denver-based architecture firm that merged with CannonDesign in 2017. Regarded for her ability to leverage design to enliven the human spirit and improve communities, she leads design engagements throughout the Mountain State region, ranging from complex additions and renovations to ground-up new buildings and master plans across the higher education, PK-12, healthcare, civic and municipal/government markets. Given Linda’s deep interest and background in the fine arts as well as in architecture, her design approach always begins with a thoughtful search for the “right” inspiration to drive a project’s design direction. Her passion for great design, at all scales and levels, inspires fellow collaborators and clients alike to elevate their own individual and collective aspirations to achieve the best possible design.